A Senegalese woman is eager to find a better life abroad. She takes a job as a governess for a French family, but finds her duties reduced to those of a maid after the family moves from Dakar to the south of France. In her new country, the woman is constantly made aware of her race and mistreated by her employers. Her hope for better times turns to disillusionment and she falls into isolation and despair. The harsh treatment leads her to consider suicide the only way out. Pallister, Janis. From “La Noire de. . .” to “Milk and Honey”: Portraits of the Alienated African Woman.” Mordern Language Studies (1992): 76-87. Print. Mortimer, Robert. 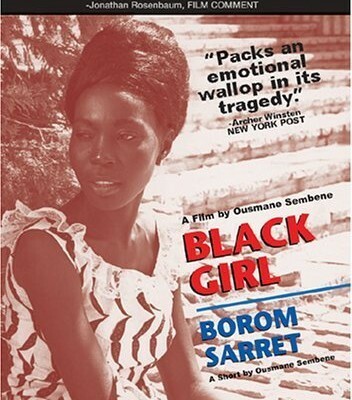 Ousman Sembene and the Cinema of Decolonization.” African Arts. 5.3 (1972): 26, 27, 64, 68, 84. Print.